Guyana is no place for wimps and lovers of the ordinary. It is a place that will take your breath away and show you the true meaning of adventure. Guyana is the third smallest country in South America and home to over 700,000 people. 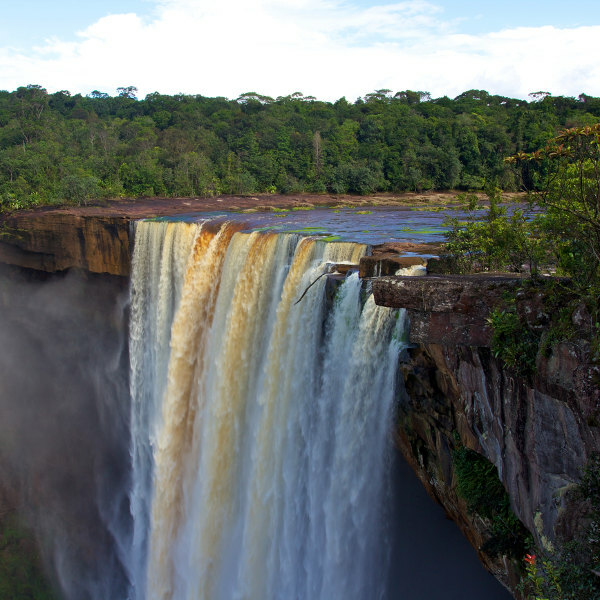 Popular attractions in Guyana include the Kaieteur Falls, Iwokrama Rainforest, and Dadanawa Ranch. Get ready for a real off the beaten path adventure with cheap flights to Guyana. Cheddi Jagan International Airport (GEO) is a 1-hour drive from the capital city, Georgetown, and is the main airport of Guyana. 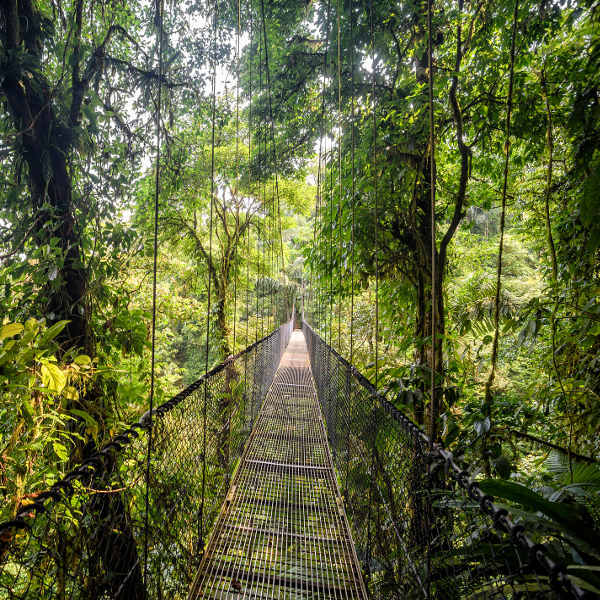 See the rainforest from 100ft in the air on a canopy walkway, paddle through the Burro Burro River in a dugout canoe, go fishing for piranha, and brave the rainforest on a jungle survival trip. Guyana is home to one of the largest unspoiled rainforests in South America. 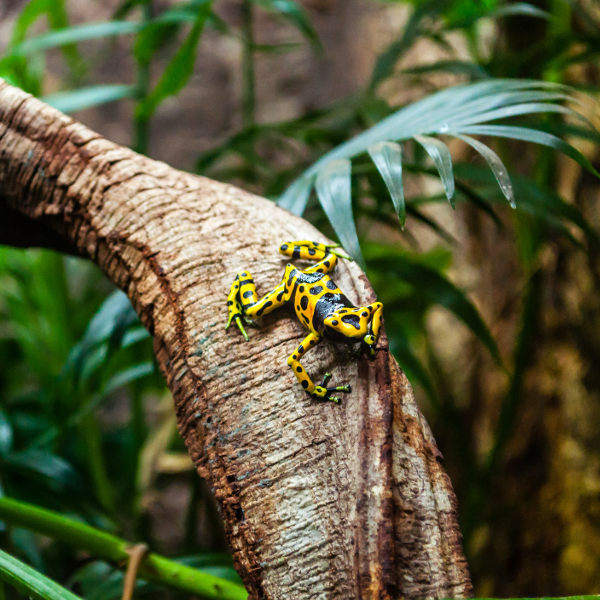 This rainforest is home to creatures such as jaguars, giant river otters, toucans, tree frogs, and sloths. This spectacular waterfall situated deep in the Amazon rainforest of Guyana is the world’s largest single drop waterfall and one of the most spectacular natural wonders in South America. Guyana experiences warm tropical weather throughout the year with abundant rainfall and humidity. The rainy seasons are from May to July and November to January. The best time to visit if you want to see the waterfalls and rainforest in all their glory is just after the rainy seasons: the beginning of August and end of February. Guyana is a small country with big adventures. Although it is situated on the edge of South America, between Suriname and Venezuela, it is actually considered part of the Caribbean. So, while you get all the wild beauty of South America you also get all the island rhythms and cultural quirks of the Caribbean. But really, it is the experiences that make it such a cool country to travel to. Explore the last remaining untouched stretch of the Amazon rainforest; gallop with cowboys on the Rupununi Savannah; go abseiling down Kaieteur Falls; sleep in a hammock in the jungle; catch and eat piranhas; or see just how tough you are on a 4-day jungle survival trip. In Guyana, it truly is a wild, wild world. Compare several airlines and book your cheap flights to Guyana online at Travelstart! Guyana has its fair share of problems so crime can be a problem in the big cities. The inner regions of the country (around the rainforests and waterfalls) are generally quite safe and free of crime. In the cities, you should not wander around with valuables and large wads of cash or venture out alone at night (especially in Georgetown). The police are not known for their eagerness to help but are known for their bribing ways. Travelling with a tour group or with locals is recommended. Comprehensive travel insurance to cover medical expenses and theft is recommended. Insect-borne illnesses are common in Guyana, so a good quality insect repellent and medication are essential, and precautions should be taken to avoid bug bites. You will need to get vaccinated against Yellow Fever. Immunisation against hepatitis A & B, typhoid, and rabies is also recommended.